Long-time readers here will appreciate seeing this update from a guest on Neptune and the Oak back in June 2014. So very happy for you, Veronica! It’s been four years since I began this journey through the blog-o-sphere and about three since I’ve contributed anything to this space. I stopped posting in 2014 because I realized that my ego had grown too attached to the 365-Day Creativity Challenge I committed to. The challenge was a wonderful learning experience and since then I’ve grown so much as a writer, design professional, and person. Now, for some reason, it feels right to come back. One month ago I moved to Costa Rica. Five days after moving to Costa Rica I met an integral designer on a bus who needed an architect for a climate park project with the University of Peace and in less than a week I had the job I was born for. Saturn moved into Capricorn a week ago, initiating me into my first Saturn return. In 2012, when founder Jeff Moss asked the head of the NSA, “Does the NSA really keep a file on everyone, and if so, how can I see mine?”, I think only a fool would lie to this group of people. In fact, I would bet that was simply a gracious offer to come clean before being forced to. Whadaya know… less than a year later, programs like PRISM were undeniable and the Feds were asked to abstain from attendance. 2017 will be the 25th anniversary of DEFCON. Will you be going? So, you’ve got two photons that are linked (entangled) from ‘birth’ (stimulated into existence). This means that no matter where one of these two exists in All of Space, the other is somehow in touch/affected by/in synch. They share all that is experienced between them. Evidently, we have managed to force a distance of 300km of space between 2 linked photons – here on earth – and record these phenomena to be true. But beyond that range there can be too much interference from space junk and (I think) we lose track of them. So now, great minds in China (and a few from Austria) are wondering if there will be less interference in outer space and thus, the trackable distance between the twins can be increased. If so, the possibility of passing messages between two parties in complete privacy and in real time for both parties becomes a probability. Are you seeing where this is going…? The European Space Agency thinks it can build a two story, 4 person work/live habitat using 3D printing and lunar soil, 90 days from stationing it’s bot on the surface. The Mars One mission statement has a lock on the passion: ‘It is Mars One’s goal to establish a human settlement on Mars…Exploring the solar system as a united humanity will bring us all closer together.’ This is a private-sector endeavor that has no plans for a pit stop on the moon or a return trip. It’s all or nothing for Mars. Elon Musk of SpaceX will announce plans in September of this year concerning details of their program called Mars Colonial Transporter to send humans to Mars in 2024, return them to Earth, and thereafter begin colonization of Mars. Outer space venturing still has that wonderful theme of cooperation amongst nations and competition as a friendly catalyst firmly embedded in just about every publication available to the common eye. It seems when we are forced to work together, we do so and well. The International Space Station has been a working, living proof of this (as far as I can tell) for 18 years. In fact, ‘The first rudimentary station was created in 1969 by the linking of two Russian Soyuz vehicles in space, followed by other stations and developments in space technology until construction began on the ISS in 1998…’ and ‘is the result of unprecedented scientific and engineering collaboration among five space agencies representing 15 countries.’ Sounds so nice, doesn’t it? So we will save the deets on mining for another post and another day. Talking story is the Hawaiian expression for sharing about yourself. How cool is that? “Autobiographical memory is the process whereby you record and encode your own experiences and make sense of [them],” explains Eamon McCrory, Professor of Developmental Neuroscience and Psychopathology at University College London. “We know that individuals who have depression and PTSD have… an over-general autobiographical memory pattern, where they lack specificity in their recall of past experience… We also know that kids who have experienced maltreatment can show higher levels of this over-general memory pattern. And longitudinal studies have shown that a pattern of over-general memory can act as a risk factor for future disorder. Practicing resiliency: yes, we have been saying that over and over again this year. As long as the nodes are in mutible houses, flexibility is a key word for all of us. You can consciously start by practicing in little ways every day…to repeat, ‘its a process, not a thing’. An ‘over-general memory’ is a new articulation for me. I really like that it provides yet another descriptor in my counseling and coaching work, a new way to launch discussion. And its got me thinking on a fuzzy memory or two of my own. 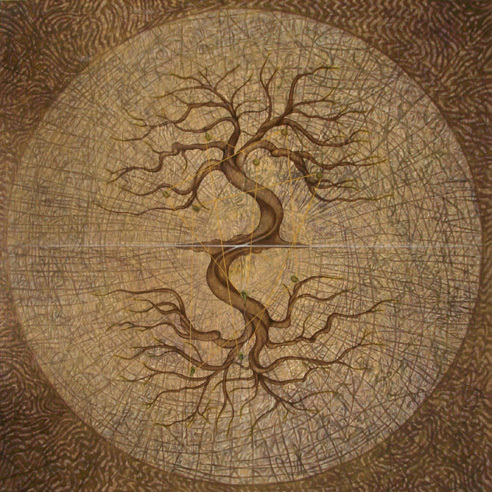 The natal astrology wheel is so very personal and unique; unpacking that wheel, facet by facet, via the mind/body/spirit experience of Living Now cannot help but expand our understanding of our memories and the wiring our story has wrought. The subsequent gift is a genuine and applied appreciation for the others in our world. Is there a book you’ve written as Jan that James would not have written? Do you feel that having been a man at one time in your life gives you more courage to make excursions on your own? Yes. There’s a hangover from the confidence I had as a man. When I started, the feminist movement hadn’t really happened, so, of course, there was more of a gulf between a male and female traveler. Now things are very, very different. Many women are unnecessarily timid about travel. I don’t believe it is so different for a woman or a man nowadays. Of course, there are actual physical dangers of a different kind. But the general run of hazard is exactly the same for men as for women, and the treatment that a woman gets when traveling is, by and large, better. People are less frightened of you. They tend to trust you more. The relationship between women, between one woman and another, is a much closer one than the relationship between men. Wherever a woman travels in the world she’s got a few million friends waiting to help her. I think perhaps there is a bit of ‘bubble-speak’ in that last statement but its lovely in theory. But wow, what fortitude, faith in self gnosis and loving support Jan must have sought and summoned. RESPECT. For a 21st experience of another female journey (you can work on your empathy skills, guys) – and a lot of laughs out loud, watch bad feminist, Roxane Gay, keepin’ it real. ‘…we have this fantasy of a machine reading, or machines being able to watch television programs and figure out what’s going on. Obviously, the three-letter agencies would like to do this. But if you want to advance in science or technology, we’d like for machines to be able to take all the literature that’s out there and synthesize it in a way that people can’t. This is part of why I do AI, because the potential is there to totally change medicine, to invent science that we haven’t even thought about. To do that, we need machines that can read, and to do that, they need to go beyond the data. There’s just not enough data to brute force your way to scientific understanding…’ – much more from Gary Marcus of Geometric Intelligence at edge.org. Death is the ultimate field-leveler. So we all have a role to play in reimagining the end of life experience. The challenge is that it’s a topic people tend to avoid. – Dana Cho at Core77 on ‘how design can truly make an impact in people’s end of life experiences.’ They are welcoming everyone to share their stories and ideas in an effort to transform this stage of life experience. It’s understandable that readers would expect a mention of the brexit from me and I do have a couple of thoughts to share. 1. It is my understanding that the age group of 18-24 year olds are a substantial voting block and they wanted to stay in the E.U. 2. It is my understanding that the majority of 18-24 year olds did not get themselves to a voting station. And now they are upset. So, Get Real. Ideals require effort. Magic requires effort. 3. While I can well appreciate the pros of the UK remaining in the block, there are absolutely some very positive potentials that this island nation could navigate into being from where it stands now. Who is going to work the hardest for their version of what is best now? Birthdays – and conceptions – occurring from the 23rd of February ‘88 through 6 February ’91 all carry the energy imprint of Neptune, Saturn and Uranus in Capricorn. I look forward to big slices of time for contemplation on that ‘unfolding picture’. I would be delighted with any feedback you may have.